The photograph is from the production of Oscar Wilde's Salome, and the ink clouds were shot personally - not a stock photo. 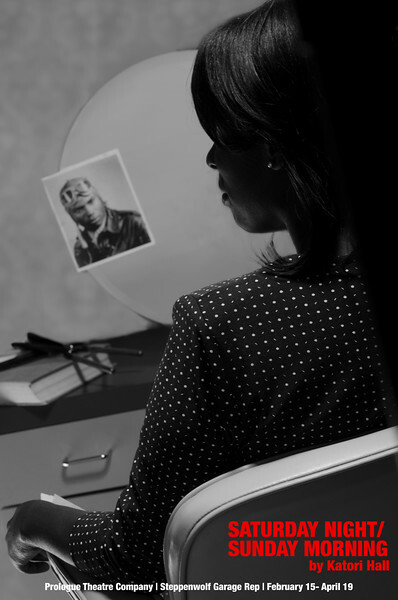 Compositing was done in Adobe Photoshop. 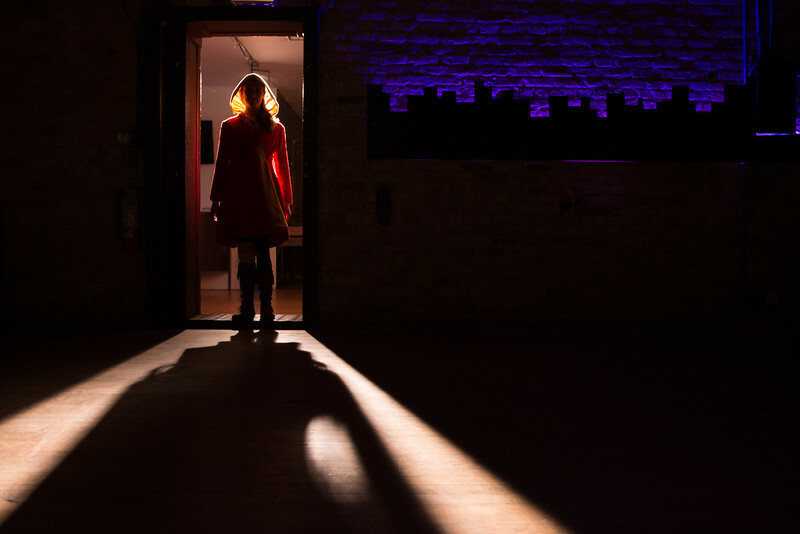 Mockup for Prologue Theatre Company's production of Saturday Night/Sunday Morning as part of the Steppenwolf Garage Rep.
Poster and Promotional Art for Promethean Theatre Ensemble's 2014-15 season, Tiger at the Gates and The Winter's Tale. Top: Tiger at the Gates photo edited in Adobe Photoshop with additional text and editing in Adobe Illustrator. Bottom: The Winter's Tale Photocomposite created in Adobe Photoshop. 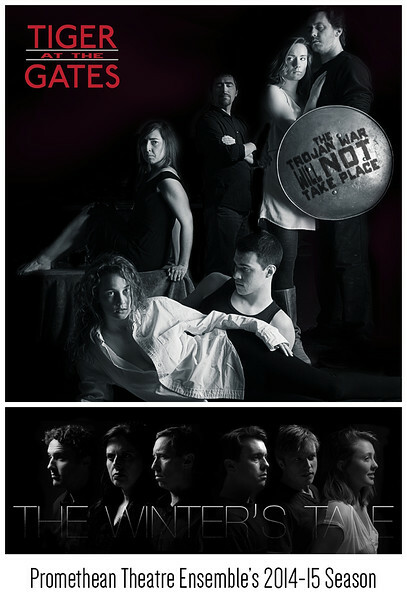 Promotional Art for InFusion Theatre Company's Another Kind of Love. 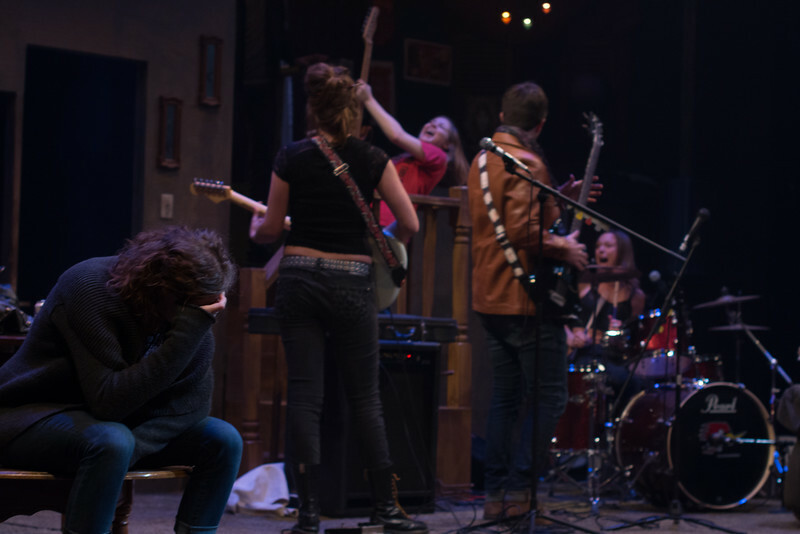 Production image from The Pied Piper, a production of Forks and Hope Theatre Company. 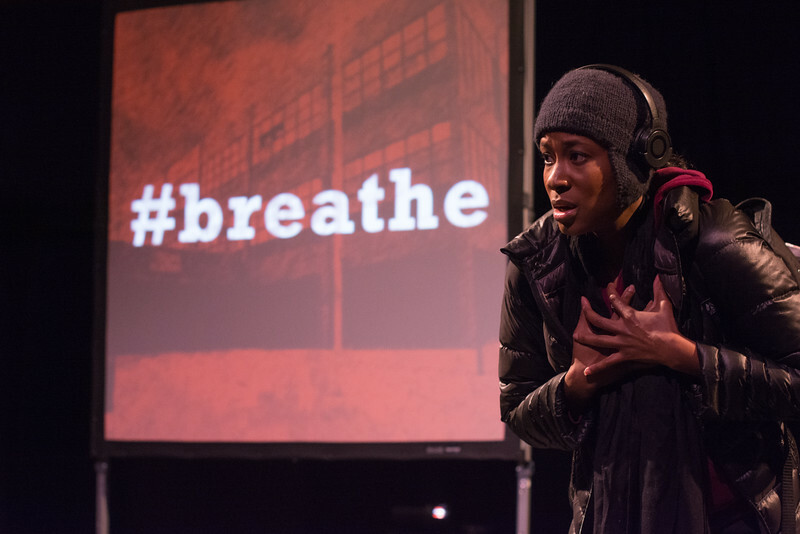 Production image from Writers' Theatre's The MLK Project, a production of Writers' Education department. 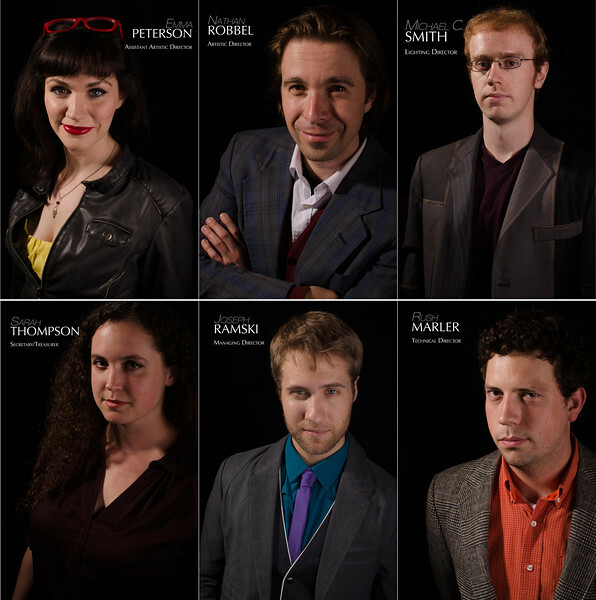 Promotional image from The Right Brain Project's production of Marat/Sade. 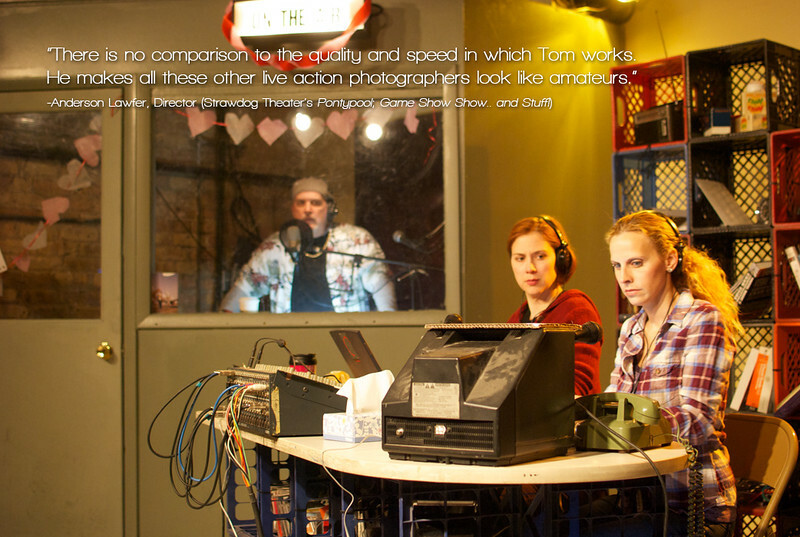 Live Production Capture from Another Kind of Love, produced by InFusion Theatre Company. All photography by was edited in Adobe Lightroom with additional work completed in Adobe Photoshop. Studio Headshots photographed for The Right Brain Project, Chicago. Editing in Adobe Lightroom and Adobe Photoshop. 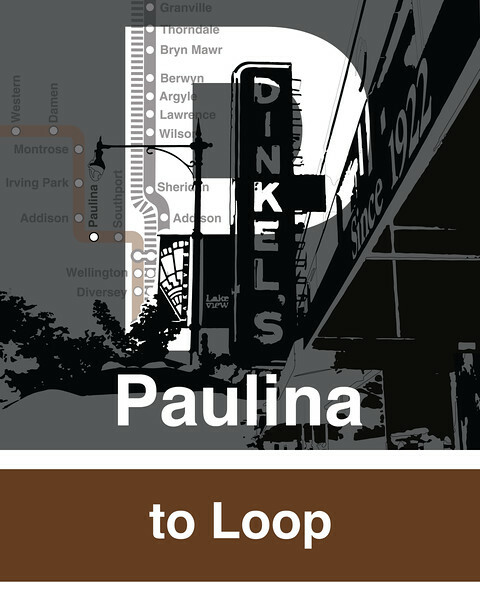 Part of the L Stop Series - Paulina is represented by Dinkel's Bakery, a Lakeview institution for more than 90 years. The image is a photo illustration created in Adobe Illustrator from a photo by Tom McGrath and publicly available art from the Chicago Transit Authority. 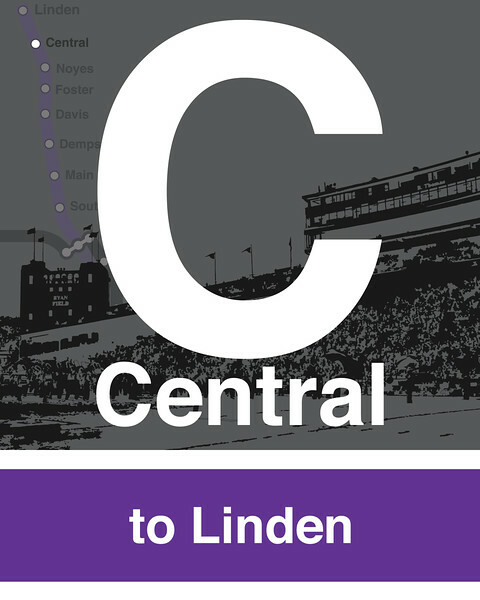 Part of the L Stop Series - Central is represented by Northwestern's Ryan Field. The image is a photo illustration created in Adobe Illustrator from a photo by Tom McGrath, and publicly available art from the Chicago Transit Authority. 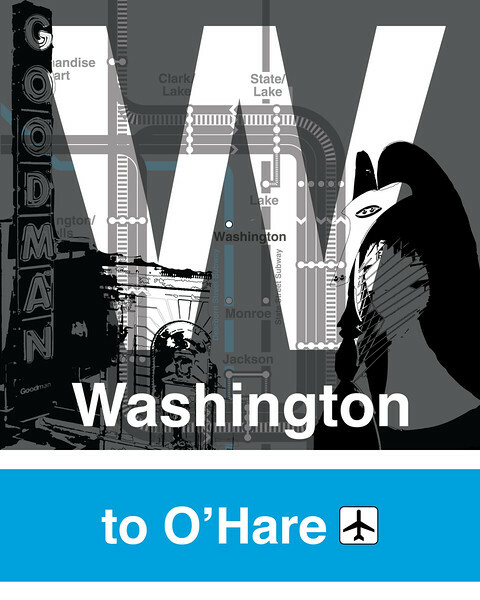 Part of the L Stop Series - Washington is represented by The Goodman theatre and the Picasso sculpture in Daley Plaza. The image is a photo illustration created in Adobe Illustrator from photos by Tom McGrath, and publicly available art from the Chicago Transit Authority. 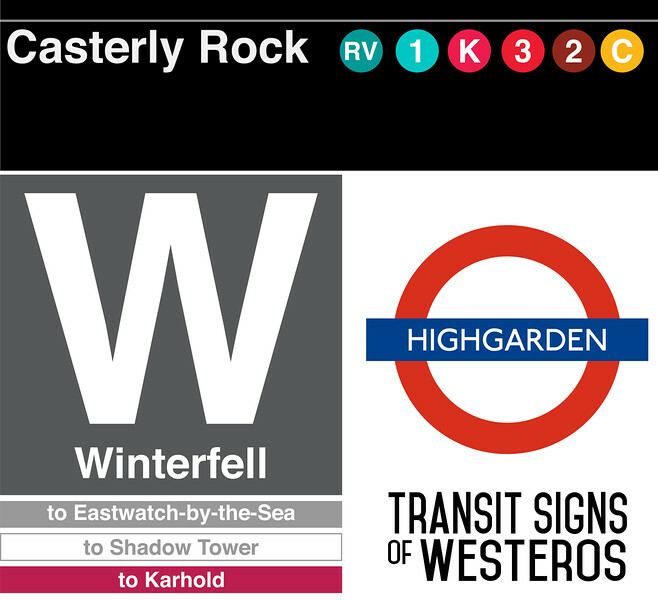 As a diversion from the L Stop Series, I was inspired by the Game of Thrones Transit Map http://tyznik.com/thrones/), and worked out what various station signage would have as their real-world analogues. 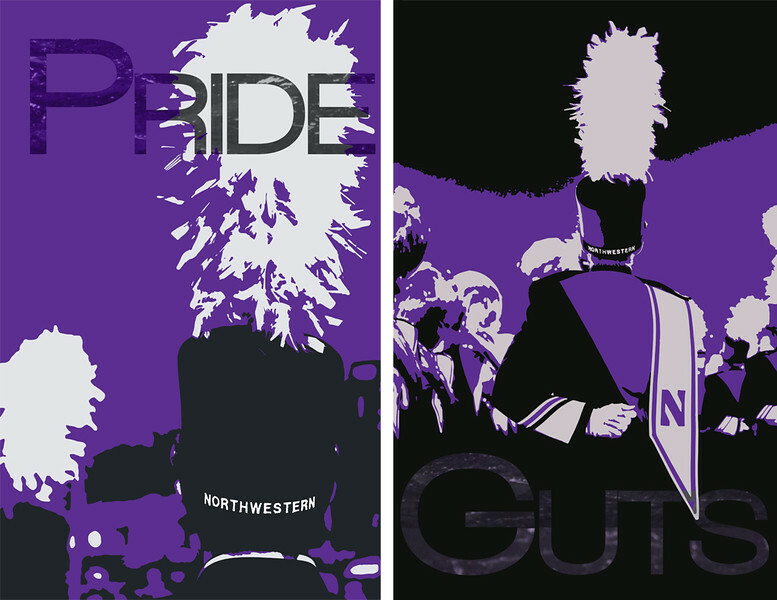 Posters created for the Northwestern University Marching Band, featuring the motto of the band "Pride & Guts." Created for the NUMBALUMS (the Northwestern University Marching and Band Alumni Organization), based on a quote from former Spirit Leader Drew Kerr. Logo courtesy the NUMBALUMS organization, illustration created with Adobe Photoshop and Red Giant Effects Suite, from a photo taken by Tom McGrath. 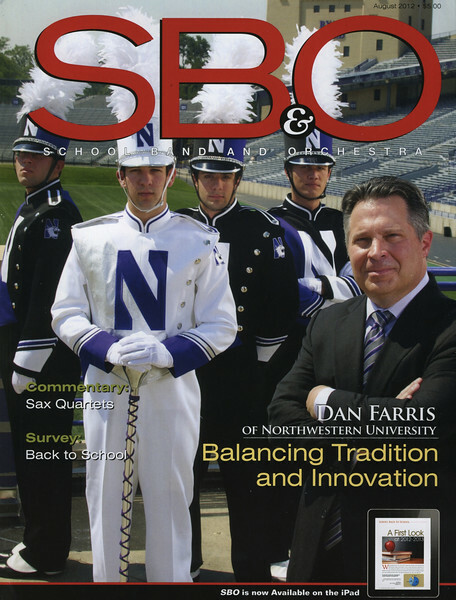 Published cover of Dan Farris, director of the Northwestern University Marching band. 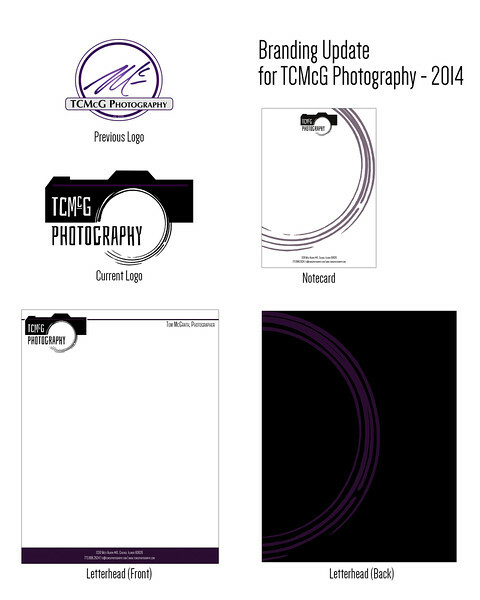 A brand redesign to unify and clean the look of TCMcG Photography. 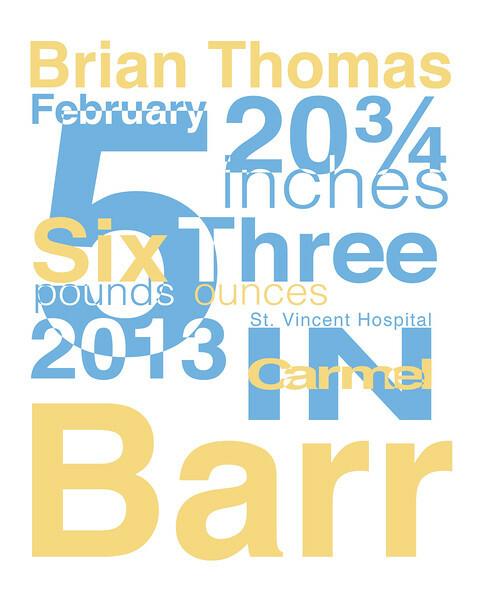 Work was done primarily in Adobe Illustrator. 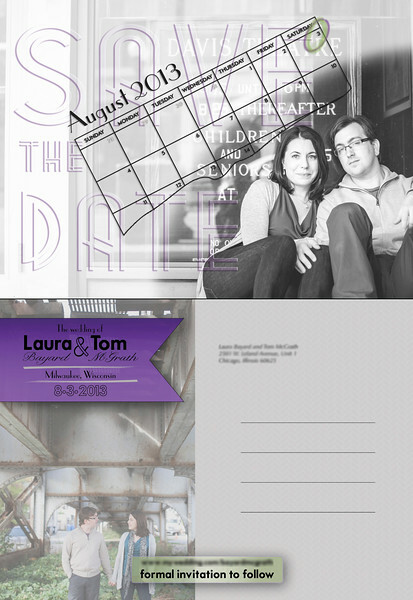 "Save the Date" card created from photographs by Heather Cook Elliot Photography for Tom McGrath and Laura Bayard. Editing in Adobe Illustrator and Adobe Photoshop. 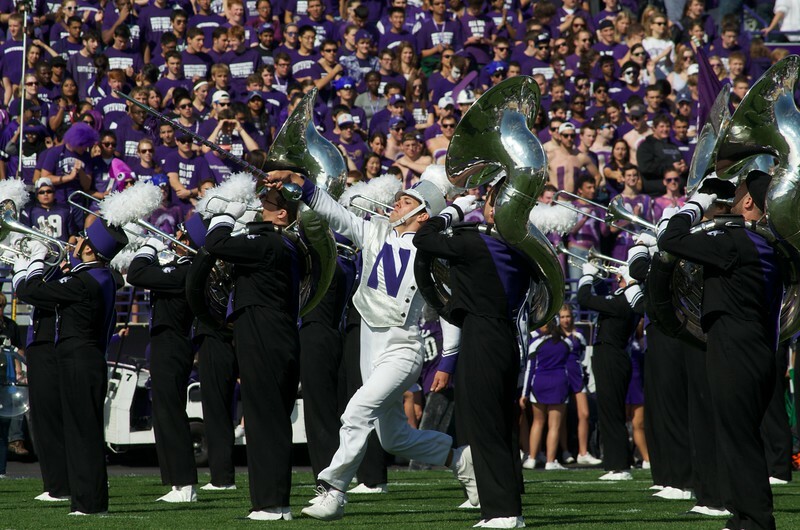 The Northwestern University "Wildcat" Marching Band used this introductory video to introduce their pregame show before home games at Ryan Field. 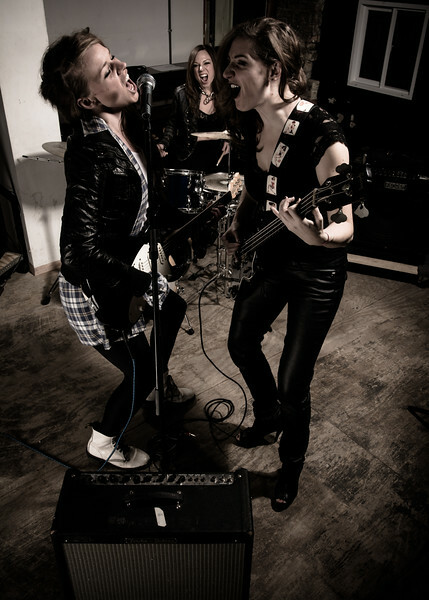 The video was produced in conjunction with Sugo Media on Blackmagic Cameras, Nikon DSLRs, Go Pro Cameras, and Pentax DSLRs. Processing and editing completed in Adobe Premiere with Red Giant Studio products used for effects and coloring. Created for the CD Release of "Rising," by Dr. Mallory Thompson and the Northwestern University Symphonic Wind Ensemble. This BTS Video of the recording process for "Rising" was met with great acclaim at the Midwest Clinic International Band & Orchestra Conference. This video was created with the generous assistance of Pick-Staiger Concert Hall and staff, primarily shot on a Canon HDV camera, and edited in Final Cut Pro.